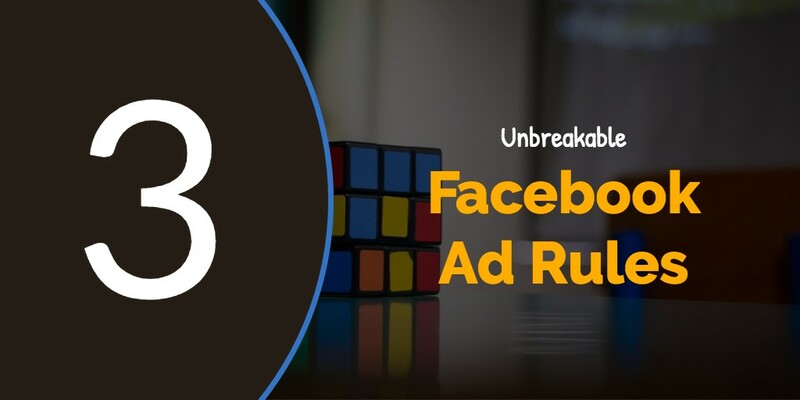 In this video, I talk about 3 Unbreakable Rules for Facebook Ads. These are Facebook Ad mistakes I see small businesses make, all the time, in their Facebook campaigns. I will show you why you should always run 2 ads against one another, never just a single ad in an ad set. We will look at ad objectives and which one to pick. And finally, a simple rule about custom audiences that will save you money and keep you from ruining your credibility with your prospect. The funny thing is, there was supposed to be a different Rule #3. I thought of it one day, didn’t write it down, forgot it, came up with this one instead … and never have remembered the original Rule #3. So what do you think? What are some others that aren’t on this list? Maybe one of them will be my forgotten Rule #3!! !